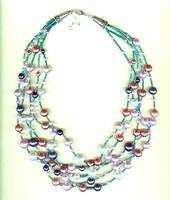 Even the hottest of ladies needs to cool down sometimes, and this is the perfect necklace to help you do that. 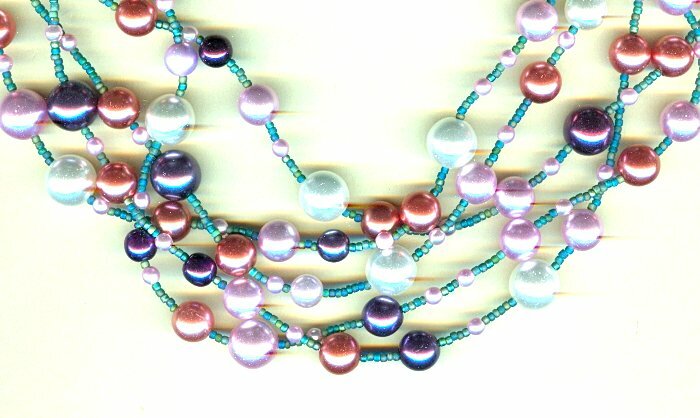 Wildly varying sizes of glass pearls in shades of pink, coral, plum and purple lie like bubbles along five strands of matte green seed beads to make this glorious necklace. The shortest strand measures approximately 21-1/2 inches, while the longest is more on the order of 25 inches. The ends of the strands are gathered into ornate sterling silver cones, and wired to a sturdy lobster claw clasp. 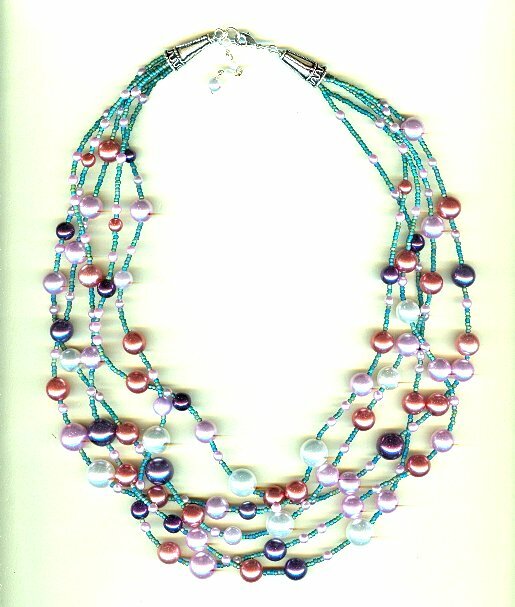 There's even a feminine little dangle of pearls from the clasp. We try to be cool cats, here at SPARKLE PLENTY.